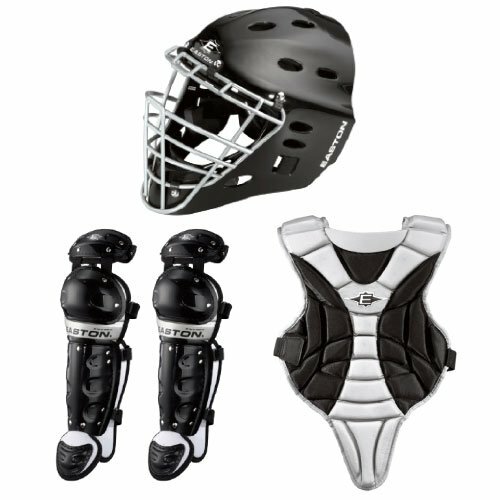 The Black Magic Box Set from Easton is the ideal set for youth catchers as it will not only offer them maximum protection, but it is also lightweight and comfortable. The helmet has a hockey style and ABS outer shell for extra protection and durability. 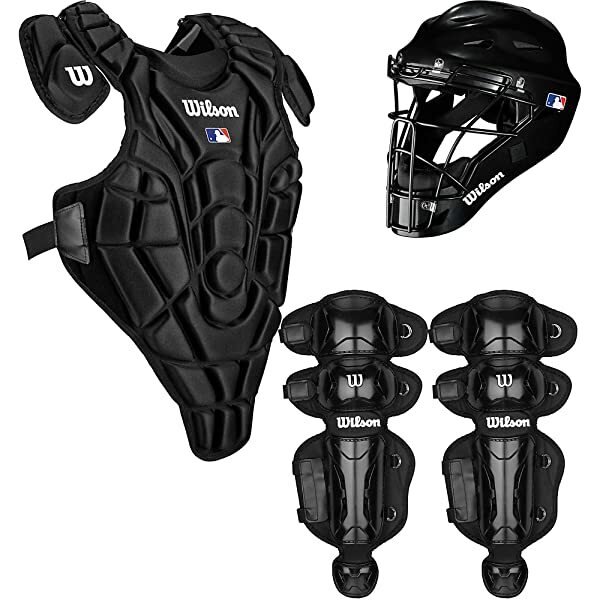 It also comes with a chest protector that has a Velcro closure system and double back adjustment system. The leg guards are also high quality with lock-down closure, and the set is available in black or red and in two models. Helmet: The helmet on this fantastic box set comes in a hockey style to ensure that it offers maximum protection on both the face and head for youth players. 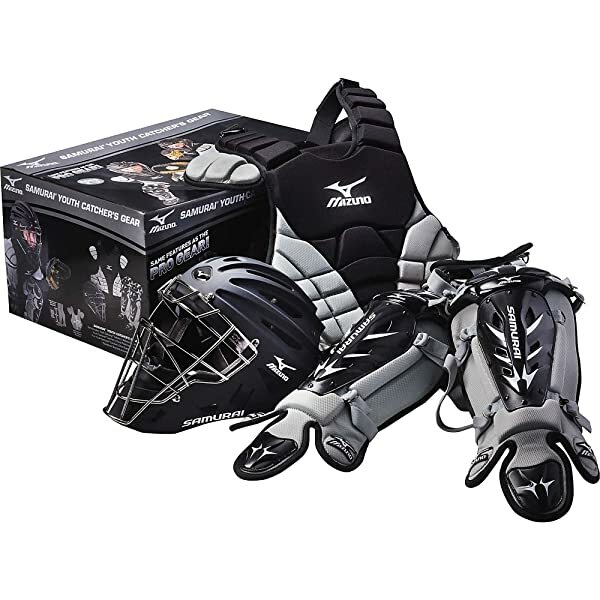 It has an extra durable ABS shell that will give a player some extra protection and also makes the headgear very durable. The helmet has a small overall design that makes it perfect for a youth catheter, a durable steel cage and soft vinyl padding for the chin. Chest Protector: A chest protector should be not only protective but also comfortable and easy to use. Easton ensures that this one has these essential characteristics by giving it a Velcro closure system and back adjustment mechanism. Leg Guards: The leg guards on this set have a Double Knee-Cap design a protective PE plate for the shin and Lock-Down closure that makes it easy for a catcher to secure them in place. Color: Easton produces this box set in two colors which are black and red. Although the colors look amazing, most players still prefer having the opportunity to choose from several colors. Sizes: This catcher box set is available in two models. The size of the gear in one model is suitable for kids that are 6 to 8 years, and the other one is for those between 9 and 12 years. Straps are easily adjustable, and so a catcher can always be sure of a custom fit. 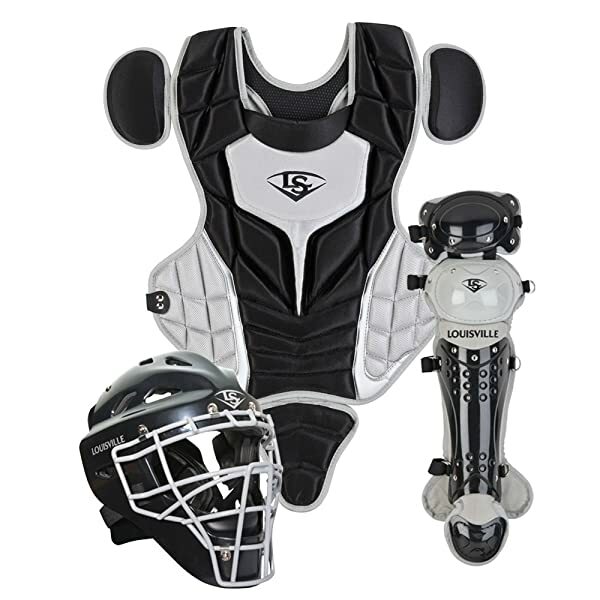 It looks durable enough to take a youth catcher through many seasons. This catcher set will offer you unmatched comfort. The design and weight of the set mean that a player will not have any trouble moving around. Affordable price guarantees that you always get value for your cash. Ease of use and protective design makes this set perfect for beginners. There are two models available for different age brackets. Air vents make the helmet breathable and very comfortable. The straps on the leg guards have some defective D-rings. It has chin pad on the mask but it is not very comfortable, and you might have to replace it. Chest straps on the chest pad are not very adjustable. It is only available in either black or red. 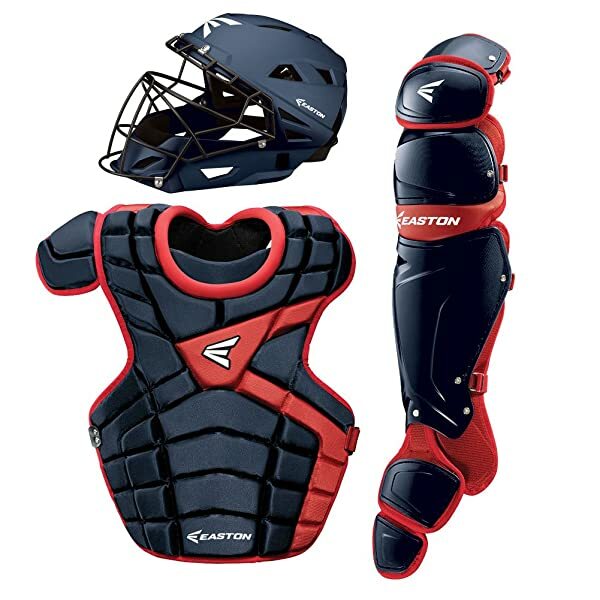 Easton makes the Black Magic set with the youth catcher in mind, and so maximum protection and comfort are the two key features of the helmet, chest protector, and leg guards. However, they are also lightweight to ensure that the player can still move freely. This set is also quite affordable, and it has several other advantages that include things like the remarkable durability, ease of use that makes them ideal for beginners and air vents that make the helmet breathable and extra comfortable. The few demerits such as defective D-rings on the leg guards and the lack of variety in the color options are all minor things. And so it is worth buying for your kids as it will keep them safe as they learn the game.